Perhaps the best rider of all time, Giacomo Agostini tried to emulate the success of other famous bike-to-auto converts such as John Surtees and Mike Hailwood. More recent converts include Johnny Cecotto who successfully made it into GP racing in the 1980s. Eddie Lawson and Wayne Gardner also tried their luck on four wheels while Damon Hill started his career on two wheels. However, Damon was never a star on the international scene but would forge a much more successful career on four wheels. The contrary can be said about Giacomo Agostini. 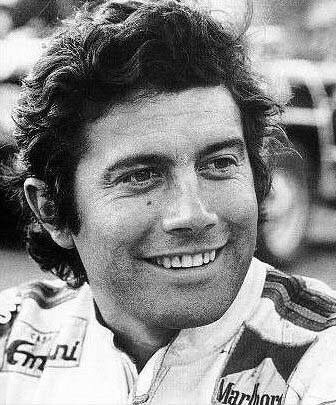 He was an icon, a megastar on bikes and enjoyed a long and ultra-successful career with no less than fifteen world titles! But on four wheels he never made it to proper World Championship Grand Prix racing. Already advancing in age he drove an obsolete Williams FW06 in the secondary Aurora AFX Formula One series for two years during 1979-80. When the series folded at the end of 1980 'Ago' also finally hung up his helmet. During difficult times in the middle of the second world war little Giacomo was born in Brescia in Northern Italy on June 16, 1942. The first-born child of Aurelio and Maria Victoria Agostini grew up in the town of Lovere, close to Bergamo, with his two younger brothers. This hilly area of Italy was the perfect setting for learning how to be fast on a bike. And Giacomo's love of bikes brought him to race up the hills in the numerous hill-climbing events. His career started out in 1961 when he finished second in the Trento-Bondone hillclimb on a 175cc Morini. Giacomo won the '63 Italian Hillclimb Championship with his 175cc Morini with eight wins. 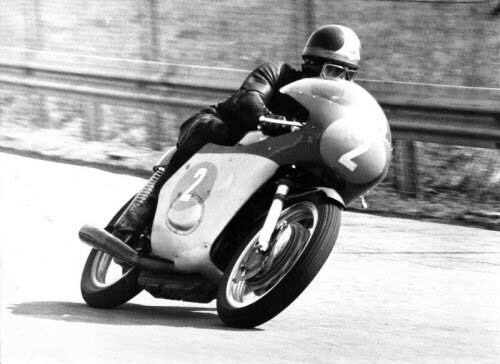 Morini provided him with a 250cc Morini for his world championship debut at Monza later in '63. This led to a fulltime job for the works Morini team in 1964. At age 22 'Ago' was now a regular in the world championships. The dominating team at the time was MV Agusta who took notice of the talented rider and they duly signed him for '65 to partner the legendary three-time champion Mike 'The Bike' Hailwood. The rest of the story is of course the stuff legends are made of. With three wins in the 350cc category 'Ago' was already agonisingly close to a world title in '65. 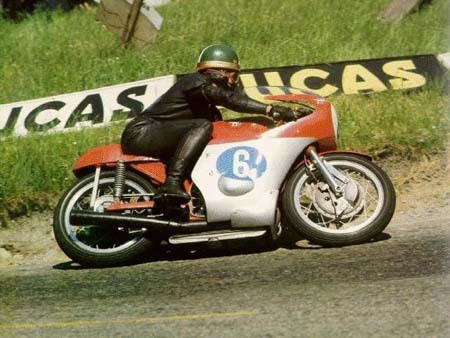 But with Hailwood gone to Honda for '66 'Ago' had his chance as the lead rider for MV Agusta. Hailwood, though, was still a formidable opponent in his Honda. But 'Ago' would prevail and took the 500cc titles in both '66 and '67. When Honda withdrew for '68 and Hailwood decided to concentrate on automobiles 'Ago' almost won by default, going on to dominate the next five years. He won both the 350cc and 500cc titles in '68, '69, '70, '71 and '72. Then a young Finn by the name of Jarno Saarinen started to challenge Agostini's dominance. Saarinen on a works Yamaha won both round 1 and round 2 in the '73 season only to lose his life at Monza in the third round. On the 20th of March 1973, Saarinen crashed fatally in the 250cc race and the same accident also claimed the life of Italian rider Renzo Pasolini - a longtime opponent of 'Ago'. Agostini would hold on to his 350cc title but lost his 500cc crown to his British team-mate Phil Read who was riding a developmental four-cylinder bike. Despite this 'Ago' clearly felt that there were new winds blowing - and they came from Japan. He clearly left MV at the right time because the Japanese teams were now ready to win championships. MV had lost their momentum and 'Ago' signed with Yamaha for '74. For his new Japanese employers Agostini was able to add the 350cc crown in '74 and the 500cc crown in '75. By then, younger riders came to prominence and a 19-year-old hot-shot from Venezuela by the name of Johnny Cecotto claimed the 350cc title in '75. Agostini's dominance of the sport now lay in the past but on his day he could still win a race. Maybe for sentimental reasons Giacomo left Yamaha and signed for his old team MV for '76. Both the 34-year-old and the MV Agusta team were in decline but 'Ago' was able to give himself and MV one last hurrah. He scored the last wins of his career and also the last wins for MV during 1976. With MV gone 'Ago' signed for Suzuki for '77 for his final season but he could no longer win. The charismatic Briton Barry Sheene was now in control of the 500cc class and a 35 year-old Agostini offcially retired on December 22nd of 1977. End of story? By all means no! Still feeling competitive Giacomo now had other things in mind. He now wanted to sit behind a steering wheel and pedal a potent single-seater. The European Formula 2 series seemed like a nice proposition and he duly signed with Trivellato Racing Team. Agostini would endure a difficult season in his BMW-powered Chevron B42. He would only manage to get on the grid on four occasions in this ultra-competitive championship while seven DNQs did not do much for his reputation. His best result came at the drivers circuit in the Eifel mountains but it was still lowly 8th place he took at the Nordschleife. Having giving up on his Chevron he went to Sanremo Racing for the final race at Hockenheim. He took the March-BMW 782 onto the grid but could only finish 16th. No points were gained in the championship and now he needed something else to rescue his single-seater career. He felt that the British Aurora F1 championship would offer a chance for him to revive his reputation. 'Ago' took the plunge and would also run his own team as a result, acquiring a couple of '78 model Williams FW06s from Frank Williams. No doubt, thanks to his fame he was able to secure high-profile Marlboro sponsorship for his new challenge. But none of these cars were of the now crucial 'wing-car' design. Meanwhile, his main opponent Emilio de Villota had acquired a Type 78 from Team Lotus and it would prove to be a tough nut to crack for 'Ago'. Apart from driving himself and managing the team he also had other drivers in his team. 'Gimax', Lella Lombardi, Marco Micangeli and Guido Pardini all pedalled FW06s for Team Agostini. After a busy '79 schedule Giacomo finished 8th in the final standings with 19 points. Rupert Keegan took the title on 65 points. 'Ago' would persevere for another season in the same series with the same FW06 cars but by now they had become obsolete. De Villota and Eliseo Salazar had acquired state-of-the-art FW07 'wing-cars' for their campaigns but with smaller grids than the previous year 'Ago' didn't disgrace himself and he was able to score no less than four podium places. He retired for good after the 1980 season. His brief flirtation with cars was over and it had gained nothing more than a footnote in the history books. He moved on to concentrate his efforts on management and for '82 Giacomo was back in motorcycles. He secured the continuing support from Marlboro to form Yamaha Marlboro Agostini. Americans Kenny Roberts, Freddie Spencer and Eddie Lawson were all at some point riding for Agostini. Maybe encouraged by 'Ago' four-time ('84, '86, '88, '89) 500cc champion Eddie Lawson would also switch to cars late in his career. He tried Indy Lights before moving to CART Indycars in 1996. Eddie was a decent driver if not overly spectacular. However, a sixth place at the daunting Michigan superspeedway proved a fine testament of his speed in cars. At age 59 'Ago' has now closed the doors on his team and enjoys his life as a family man. He still makes the occasional appearance at race meetings. The man in front is certainly not very famous for his achievements in Formula 1. In fact, he achieved only little more than nothing there, not winning any race, not scoring any world championship points, even not taking part in a single national Grand Prix. What makes him famous is the fact, that Giacomo Agostini was the most successful motorbike racer, win-ning several championships on his MV Agusta during the seventies, and perhaps still is. It seems to have always been popular among motorbike stars to make the move to four wheels, as there is quite a number of names, which turned up on the Grand Prix entry lists. John Surtees, Mike Hailwood and Johnny Cecotto have all been former world champions on two wheels and nearly all of them gained some success or at least respect within their engagement in Formula 1. But not so the greatest of the great, the man, who had won more titles than anybody else, Giacomo Agostini. By 1978 Agostini appeared in the European Formula 2 races in a Chevron-BMW entered by the Trivellato Racing Team. But right from the beginning he had to struggle. Usually there were much more entries than positions on the grid and Agostini nearly regularily was among the unhappy ones not to qualify. Obviously this left him rather unimpressed as for 1979 he moved the ladder up yet another step into the British Formula 1 series, where he raced an old Williams FW06 entered by David Price. Wing cars had not yet really been introduced into the series and so the Williams still was quite a competitive machine there. For Agostini results gradually developed better. He scored his firts championship point at Oulton Park and at Snetterton he was in great form to finish second. He had further podium finishes at Zandvoort and Oulton Park again and at the end of the season he ranked eighth in the championship table. The picture shows him in the non-championship race at Imola, which took place in nominally reminiscence of Dino Ferrari. The background was that the year before there had been some complaints about the state of the Monza track. 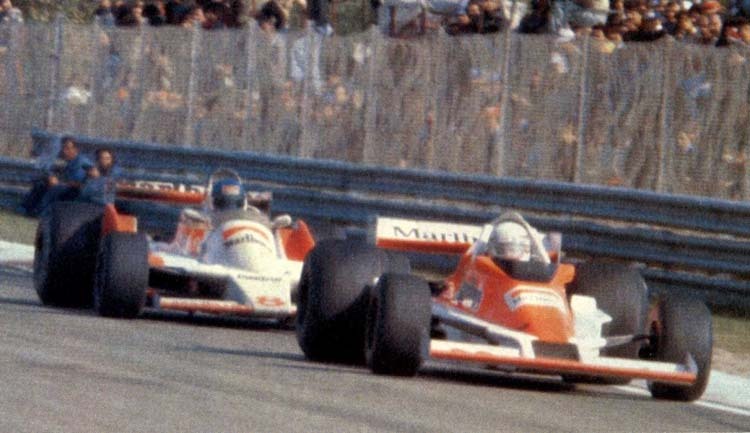 To set the track owners under some pressure an experimental race at Imola was announced for 1979, and the race certainly can be regarded as the initial of today's San Marino Grand Prix. Of course the field was not too competitive, but at least the Ferraris were there as were the Alfa Romeo team and Niki Lauda in his Alfa-powered Brabham. To fill up the grid also "Team Agostini" was invited, which of course consisted of the two Williamses of David Price Racing. Perhaps being on Italian Ground it seemed to be more popular to enter as an Italian team. Against serious opposition from the regular Formula 1 contestants Agostini was shown his true ranking during the race. He started from tenth position (of 15 starters) and in the race he was overtaken by de Angelis, Tambay and the Ferrari of Villeneuve. In the end he finished tenth, a lap down on the winner, Niki Lauda. Agostini tried to keep his career alive in 1980, continuing with the Williams FW 06, which became more and more obsolete against the growing numbers of wing cars. But the starting fields in the British series began to shrink and so whenever he finished he nearly automatically collected some points, finishing on the podium at Monza, Brands Hatch, Thruxton and Silverstone and this time he ended up fifth in the championship. Sadly for him the series was not continued into 1981 and as he did not find a cockpit for the world championship his Formula 1 career came to its end.